Over the weekend, the Parks Department along with 130 Volunteers planted about 2,000 trees and 500 shrubs across from the library. 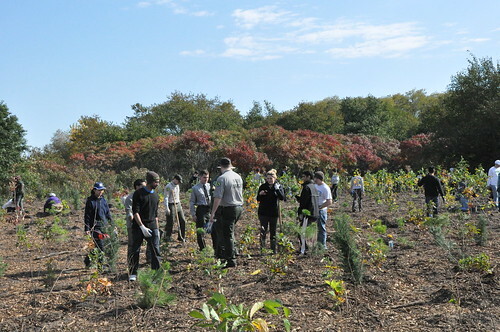 The trees planted were organized into research plots to allow scientists to study the ecological effects and benefits of urban trees. In the coming years, researchers will analyze soil nutrients, soil carbon, and plant diversity and abundance in the research plots to determine how urban forests can be managed to maximize benefits such as regulating air temperatures, filtering pollution, trapping rainwater and storing carbon dioxide. 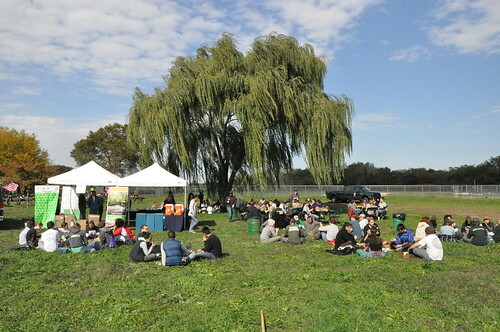 This large-scale, multi-institutional research project is led by the New York City Department of Parks & Recreation’s Natural Resources Group; Columbia University’s Department of Ecology, Evolution, and Environmental Biology; The New School’s Tishman Environment and Design Center; and Yale School of Forestry and Environmental Study. 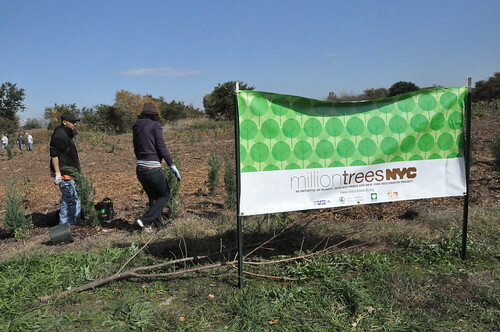 The tree planting was part of a larger city wide event planing trees in all five boroughs with approximately 1,500 volunteers planting 20,000 trees in parks and natural areas. 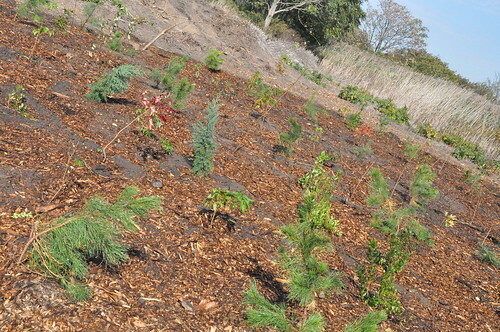 Much of the mulch at the planting sites was composed of reused woodchips from trees from the recent storm. will be planted in NYC the Parks should replace the ones that were lost. 2,500 is a major difference from 250. This planting event is in response to the storm damage across the city to replace what was lost. What does St. James Church have to do with planting trees ? first off they dont give people community service for littering, and second you realize that most of these strangers have prior arrests for MAJOR crimes?!?!?? Look at what Anonymous and anonymous1 wrote above. How could GBcares use these people? You could see a sinister look on some of their faces. Would you let workers like this in your yard or house? People did did let them near their children. Very comforting knowing that criminals with long records were right next to our children for hours. It had to be the dumbest idea in the history of GB. YES!!! a new place for beachrats to make atv trails! yes!! !